X-ray is the most common equipment in the medical imaging centre. X-rays were discovered in 1895 by Wilhelm Conrad Roentgen (1845-1923) who was a Professor at Wuerzburg University in Germany. ... Roentgen also discovered that the ray could pass through the tissue of humans, but not bones and metal objects. X-ray uses a small amount of radiation that passes through the body to quickly capture a single image of your anatomy to assess injury (fractures or dislocations) or disease (bone degeneration, infections or tumors). Dense objects, such as bone, block the radiation and appear white on the X-ray picture. Radiologists review the pictures and create a report with their findings to aid in diagnosis. It’s best for knowing what happened in an injury. It’s also very low cost and usually the first step in any type of medication. MRI, as with all medical imaging techniques, is a relatively new technology with its foundations beginning during the year of 1946. Felix Bloch and Edward Purcell independently discovered the magnetic resonance phenomena during this year, and were later awarded the Nobel Prize in 1952.MRI, or magnetic resonance imaging, combines a powerful magnet with radio waves (instead of x-rays) and a computer to manipulate these magnetic elements and create highly detailed images of structures in the body. Images are viewed as cross sections or “slices” of the body part being scanned. There is no radiation involved as with x-rays. MRI scans are frequently used to diagnose bone and joint problems. It’s used for imaging organs and other internal structures. It’s the imaging without the added radiation. Computed Tomography (CT) imaging is also known as "CAT scanning" was invented by British engineer Godfrey Hounsfield of EMI Laboratories, England and by South Africa-born physicist Allan Cormack of Tufts University, Massachusetts. It is a rapid, 5-20 minute painless exam that combines the power of X-rays with computers to produce 360 degree, cross-sectional views of your body. CT is able to image bone, soft tissue and blood vessels all at the same time. It provides the radiologist with details of bony structures or injuries, diagnosing lung and chest problems, and detecting cancers.CT scans show the bones of the spine much better than MRI, so they are more useful in diagnosing conditions affecting the vertebrae and other bones of the spine. 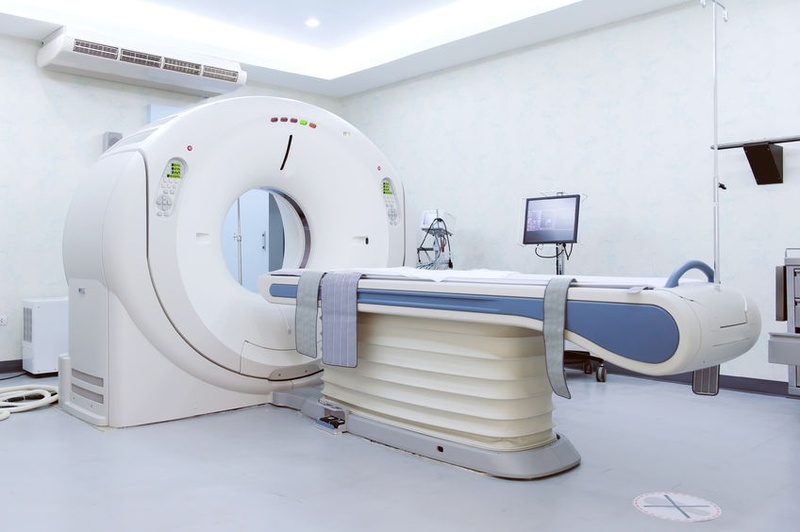 CT Scan is often used for detecting cancer, evaluating lung issues, and other important and pressing medical matters. Which one should you use for your consultation? It will all be based on your doctor. What you can do is to find a medical imaging centre that’s complete with the equipment above. Having an x-ray machine, MRI, and CT Scan at your imaging centre can help you relax. This means that you will know right away the causes of your discomfort and what you and your doctor should do about it. These modern medical guardians can help you figure out your ailment and risk getting more disease out of it. Choose a medical imaging centre that has a complete set of equipment and won’t leave you and your family hanging.